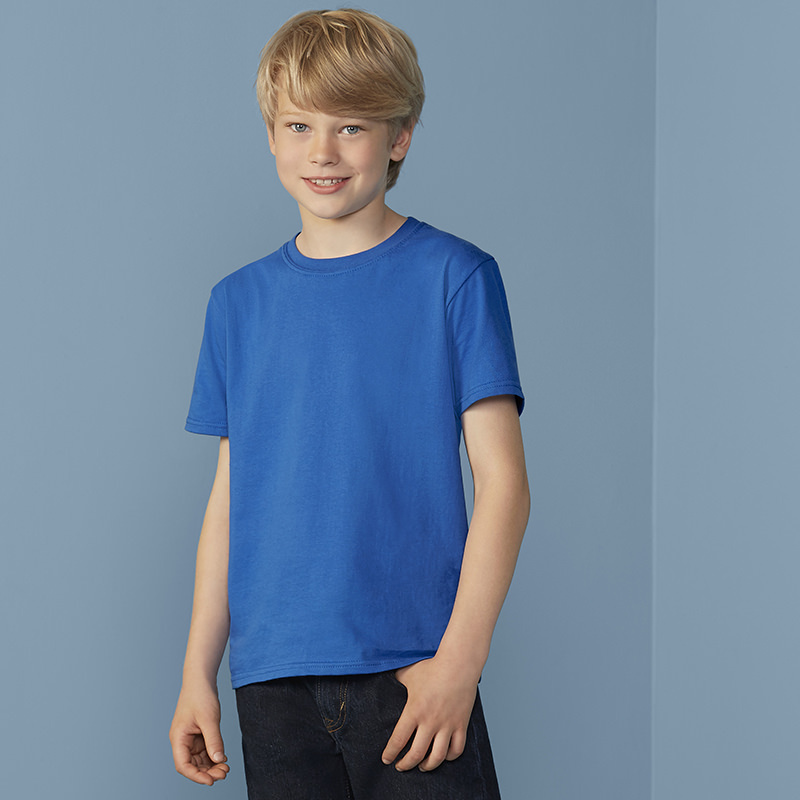 A great quality t-shirt available in children sizes from age 1 to 12. A heavier weight fabric which is suitable from embroidery and printing. 2cm fashionable collar. Shoulder-to-shoulder taping. Front coverseaming on collar. Tubular body construction for shape retention. Perfect combination of ringspun cotton and top level finishing. Shoulder to shoulder taping. 1x1 rib knit collar.